Why it matters: Microsoft is redesigning its Office iconography as part of a greater push to implement its Fluent Design language and create unique yet instantly recognizable icons across platforms. Part of the promise of Windows 10 is continuous updates throughout the life of the operating system. Part of those updates involve gradually implementing Microsoft's Fluent Design language throughout the operating system. 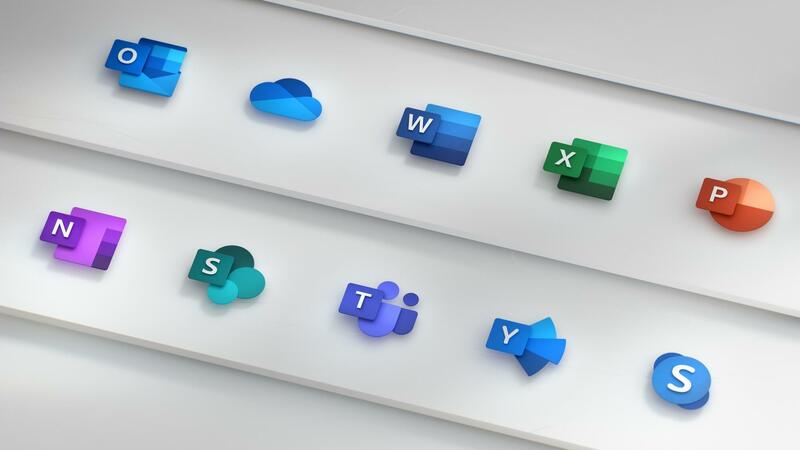 Now, the software giant is updating Office to reflect the new design starting with the Office icons themselves. "From the get-go, we embraced Office’s rich history and used it to inform design decisions. Strong colors have always been at the core of the Office brand, and new icons are a chance to evolve our palette. Color differentiates apps and creates personality, and for the new icons we chose hues that are bolder, lighter and friendlier — a nod to how Office has evolved. We also used gestalt principles to further emphasize key product changes. Simplicity and harmony are key visual elements that reflect the seamless connectivity and intuitiveness of Office apps. While each icon has a unique and identifiable symbol, there are connections within each app’s symbol and the collective suite." One of the striking changes is the decoupling of the letter and symbol. For example, for Excel, letter 'X' is in it's own green box while the symbol representing spreadsheet cells are behind it as it's own element. Remember, part of the Fluent Design language emphasizes depth and reinforces Microsoft's desire to push 3D creativity. Since the death of Windows Phone, Microsoft has changed focused and embraced other platforms. The Office suite can be found on almost every platform including iOS, macOS, Android, and the internet itself with web apps. Microsoft says it wants to have a common design language that transcends platforms yet easily recognizable. "Similarly, we’ve changed the letter-to-symbol ratio. Traditionally, the letter occupied two-thirds of the icon, and the symbol took up one-third. We’ve changed this ratio to now emphasize the symbol because while the letter represents the tool itself, the symbol speaks more to people’s creations." The new designs definitely look more modern and even fun. It reflects a new Microsoft which seems to care a lot more about design than it has in the past. The design changes to Office go beyond just the icons, however. Microsoft will be updating and modernizing the look and feel on each of the platforms Office resides on. Outlook Mobile, in particular, is getting overhauled with support for shared mailboxes and updated gestures. Now, if only the company could fix the headaches with the new Windows update.